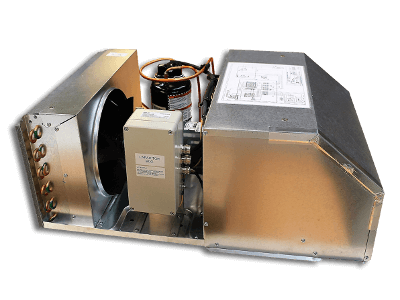 Artidor’s explosion-safe AR-053 rooftop air conditioners are made to safely provide a pleasant climate in an area that can contain an explosive atmosphere as a result of released gas. The rooftop air conditioners only take up little space. The control knobs for ventilating, cooling or heating and the air thermostat are built-in in the low ceiling panel. 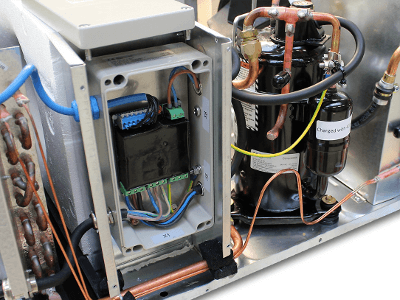 No connections need to be made to the cooling system to install the compact rooftop air conditioner and therefore there is no need to call in a specialized refrigeration technician. The circuits to the control knobs and thermostat are intrinsically safe and the connection between the rooftop unit and the ceiling plate is made by means of connectors. Installation of the unit is therefore fast and efficient. Additional connection terminals for the connection of an electric (ATEX) heater can be provided upon request. 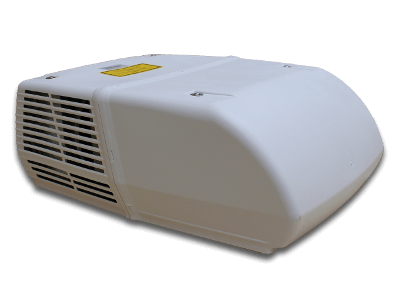 The Artidor AR-053 rooftop air conditioners are explosion-safe and certified in accordance with the European ATEX Directive 2014/34/EU (ATEX 114) and have a CE mark. The air conditioners meet the requirements for product category 3 G, making them suitable for use in an area classified as Zone 2.
: 360 x 360 mm, thickness: 150 mm max.